Explore Pandora – The World of Avatar with Nightly Extra Magic Hours! Nightly Extra Magic Hours will take place from 11:00pm – 1:00am only in Pandora – The World of Avatar at Disney’s Animal Kingdom® Theme Park. 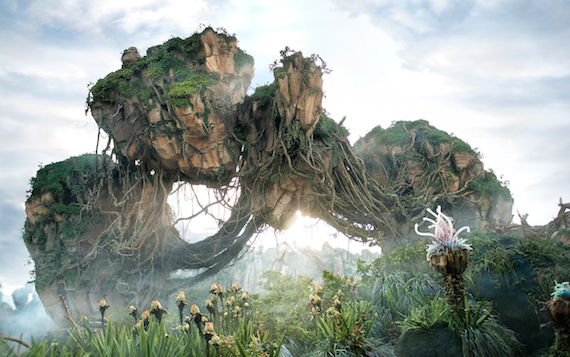 This offering will provide Guests with an additional opportunity to enjoy everything Pandora – The World of Avatar has to offer – including navigating a mystical river, flying on a back of a banshee and walking under floating mountains. Please note valid Theme Park admission and a Resort ID are required. There’s so much excitement surrounding the debut of this world beyond belief that we here at MousePlanning suggest you take advantage of Nightly Extra Magic Hours to visit Pandora – The World of Avatar. Then, you can reserve Disney FastPass+ experiences to enjoy the rest of Disney’s Animal Kingdom Theme Park during regular hours. Do you want to experience Pandora – The World of Avatar for yourself? Call us at 855-434-9397 to start planning your vacation! You can also request a quote online! This entry was posted on March 23, 2017 at 3:26 pm and is filed under Animal Kingdom, Disney News, Disney Vacation Planning, Walt Disney World. You can follow any responses to this entry through the RSS 2.0 feed. You can leave a response or trackback from your own site.